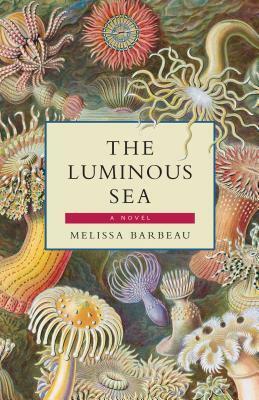 Anyone who loves the sea, or feels drawn to stories of the sea, will likely feel drawn to The Luminous Sea by Melissa Barbeau, like I was. I was even nervous going into this book – I so wanted it to be good. Happily, it is more than good – it is splendid in every way. 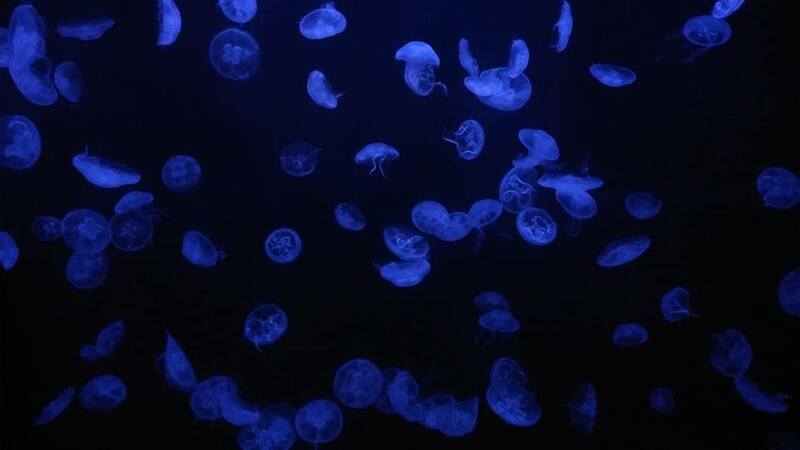 The Luminous Sea takes place in a small outport of Newfoundland where a couple of university researchers are studying the recent phosphorescence of the water. On one of Vivienne’s trips out to collect samples, she brings in a creature she has never seen before. With excitement, she brings the creature in to her supervisor, Colleen. Together, they fashion a tank out of a chest freezer in the storage building they’re using as their lab, right outside of town. The night air is warm on the luminous sea. Water laps against the hull. There is a splash as something unseen breaches the surface of the bay and Vivienne glances overboard. The air smells of brine and bilge water. Land smells drift on the breeze – smoke from dying fires that glow like lighted matches on the far beaches, hay meadows, the smell of the woods. A fragranced world made of base notes and top notes, scents you notice right away and ones that come later, that linger. Like perfume. There are land sounds, too, but they are far away and miniature. Splinters of laughter, the heartbeat base thrum of a radio heard as if through a thick pane of glass, fading as night shuffles its way towards dawn. Vivienne is fascinated by the creature and immediately starts referring to her as a “she” rather than the “it” preferred by her supervisors. She worries for the creature’s health as time goes on, and as she watches Colleen and Isaiah perform tests and take samples. Tension builds between the colleagues until Vivienne not only does not feel welcome anymore, but no longer wants to be a part of it. She begins to wonder if there is a way to save the creature before it’s too late. Vivienne stands on the step, her hand hovering over the handle, before swinging the door wide and stepping over the threshold and into the lab. The late afternoon sunlight follows hers in, splashing across the dusty floor. Colleen sits at the work bench entering data sets into an Excel spreadsheet. Isaiah hunches over a microscope, peering into the eyepiece. Vivienne’s shadow, long and slinky, stretches across the room to touch him. She feels a shudder of revulsion, and moves so it reaches, instead, to stroke the freezer. In addition to the compelling plot of the story, The Luminous Sea is beautifully written. The imagery and atmosphere of the novel is mesmerizing. The reader is right there in the outport with the characters and you can feel the spark and sizzle in the air as Vivienne lurks around Damson Bay, out of the way of Colleen and Isaiah (especially Isaiah – as disagreeable as Colleen’s temper is, Isaiah’s false joviality is worse). Vivienne befriends Tama, who runs the cafe (and makes preserves out of jellyfish! ), and who might have her own reasons for wanting to help Vivienne out. I have a fondness for jellyfish. The fishermen stopping in for a cup of coffee after coming off the water offer ever more apocalyptic opinions about the jellyfish blooms smothering the coastline: they’re getting so thick, maid, the boat brings up short on them; the bay’s going to be a bowl of gelatine, mix in a little custard and you’ll have dessert; I believe they must go all the way down — won’t be long now you’ll be able to jump off the cliff by the lighthouse and bounce your way over to the far point. If you’ve been wondering at all about picking this book up, please do! The storm cloud breaks and a deluge of irritation comes pelting down on Vivienne. She has not brought an umbrella. The last thing she needs is wings and antennae in her jellies, faceted eyes staring out as if preserved in amber, waiting to be spread on toast. She wonders if, on clear nights, the creature can see the moon or if the ceiling of the sea is nothing but a field of blurry blue. She wonders if all the little microorganisms can see this giant eye staring down at them unblinking. She wonders if they all swim to the edges of the slide, trying to escape her glare. Thanks to Breakwater Books for sending me a copy of this book! Other Breakwater Books I have loved: Ledger of the Open Hand by Leslie Vryenhoek and The Greatest Hits of Wanda Jaynes by Bridget Canning. Not only does the writing sound as luminous as the title, but the cover looks gorgeous too. And given what you’ve told us, along with the quotes, this is yet another title I’m adding to my To Buy list. It sounds like a wonderful read. Hooray! There was something about this book that cast a little spell on me. Naomi, you’ve introduced me to a number of books and authors I never would have come across otherwise, thank you. I’m excited to read some of these books because they are way out of what I would normally choose letvalone think about. Well, you’ve certainly sold me! I look forward to reading it. Thanks. Great review. Thanks! I hope you enjoy it as much as I did! This one sounds good. I will put it on my Goodreads list. Lovely cover! No better recommendation than that! Can’t read your review yet; I’m half-way through the book! I’m so glad you’re reading it, too. Looking forward to hearing your thoughts! What beautiful excerpts Naomi and a gorgeous cover. Sounds like a real gem. It is! Made even better by knowing very little about it going in – the best kind of reading experience. I would have picked this up just for the cover, but it’s good to hear that the contents match up to it! I love jellyfish too! I wish I lived closer to the sea, there’s something unmistakably magical about the ocean. I love lakes, but the ocean is definitely more interesting. Sounds like a lovely little novel! So true! Lakes are wonderful to swim in, but the ocean is full of mystery. I adore the sea so this definitely appeals so long as there isn’t too much about jellyfish- the nearest I have to a phobia! I think I’ve seen a few science fiction movies in which a character decides that a creature isn’t just a creature but something more special. Did this book get science fiction-y at all, or did it stay realistic? No, it’s not science-fiction-y. It all feels like real life, except for the creature itself. I admire jellyfish too, not in preserves though (and admittedly, at a distance). This one is now on my TBR as well. The quotations about sight and touch (the storm) definitely pull me in. No. And then you have a wet, dirty sweater. Rain jackets work better!